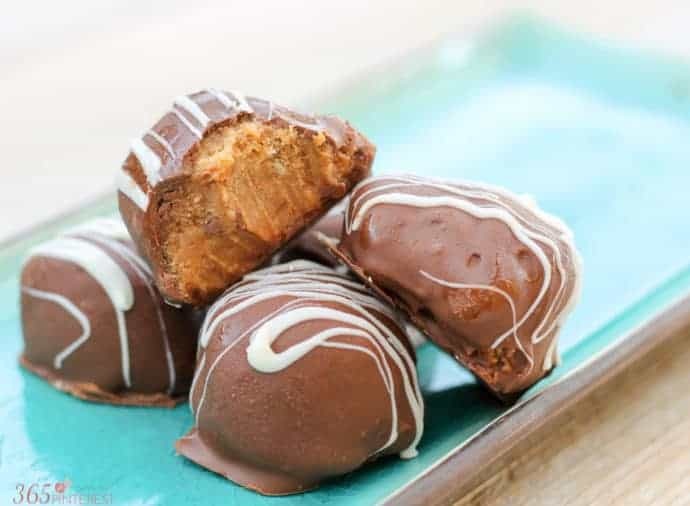 Stuffed with peanut butter cup candies and dipped in creamy milk chocolate, these easy Chocolate Peanut Butter Truffles are sure to become a family favorite! I sing. I love to sing. It’s incredible to me that God created the human body to be capable of producing beautiful, moving sounds. That beauty is amplified by singing with others who are dedicated to making music for the sheer joy of it. I spend one night a week singing with my local symphony chorus, and I love every minute of it. Last weekend, the Chorus hosted a ladies tea fundraiser and I was asked to make these delicious Chocolate Peanut Butter Truffles. 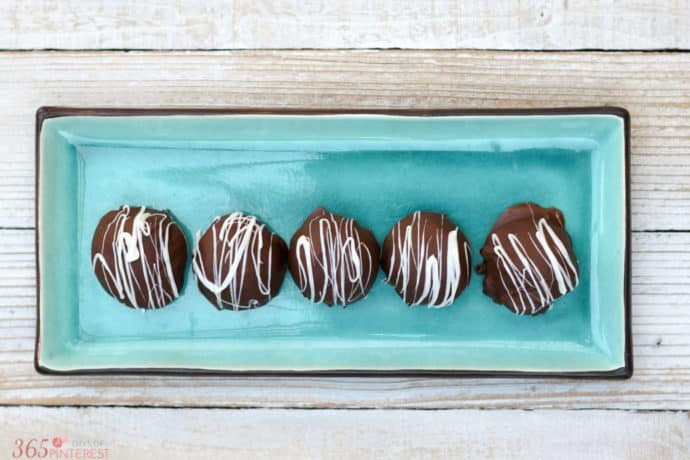 They were such an easy no bake dessert that I knew I had to share them here! 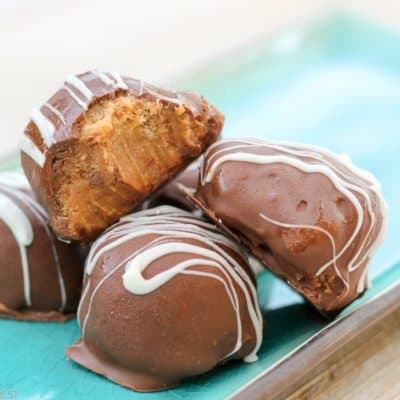 The thing that makes these different from a peanut butter ball is the fact that they are stuffed with mini peanut butter cups. Yum! I got the recipe from another chorus member, who got it from Six Sisters’ Stuff. The whole recipe can be made in a food processor, which makes the filling so easy to put together! The only real work is the actual dipping in chocolate. It’s not difficult, but it gets a little time consuming. However, I promise, it’s worth it. Drop the peanut butter filling into the chocolate one at a time and turn to coat. Lift out with a fork and tap on the side of the bowl to remove excess chocolate. 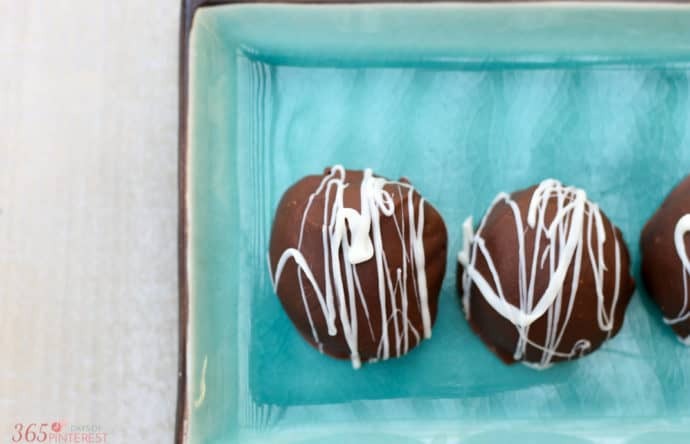 Place back on the wax paper and return to the freezer to set the chocolate more quickly. If you want to decorate with sprinkles, be sure to add them right after dipping, before the chocolate sets. 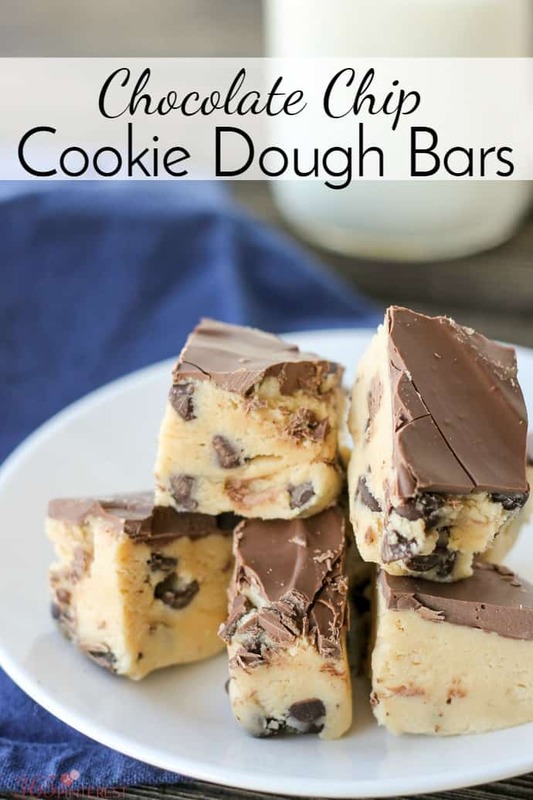 Drizzle with white chocolate or candy melts if desired. 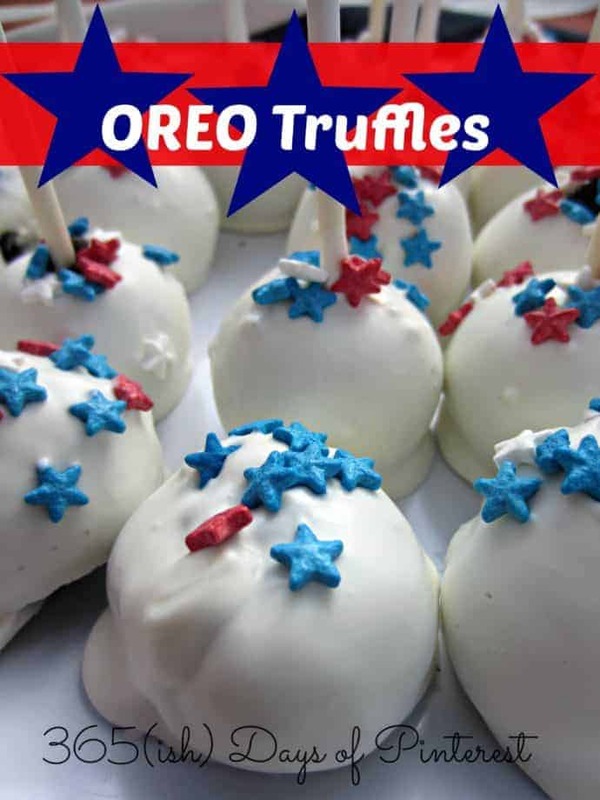 Mmmm…don’t those look yummy? I got about 35 truffles out of a batch, but those are quite large. You can easily cut each scoop in half and then roll them in your hands to make smaller bites. The smaller truffle will fit in a mini muffin wrapper, which is a pretty (and clean) way to serve them. 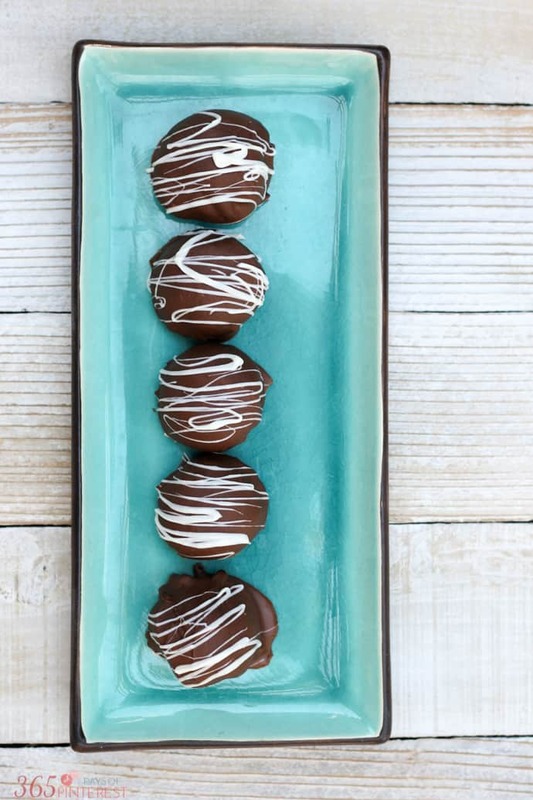 Either way, these Chocolate Peanut Butter Truffles will become your new go-to dessert for special occasions! 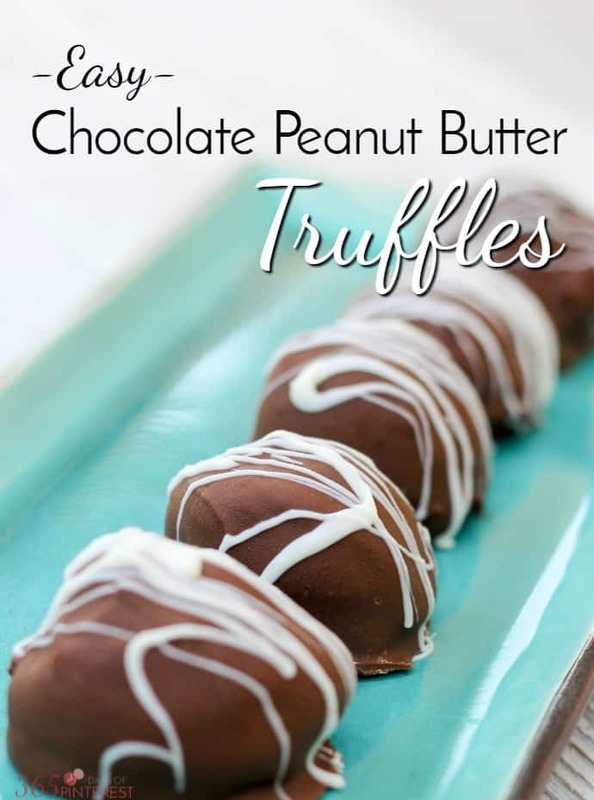 If you like these Chocolate Peanut Butter Truffles, you’ll love some of these other great desserts!